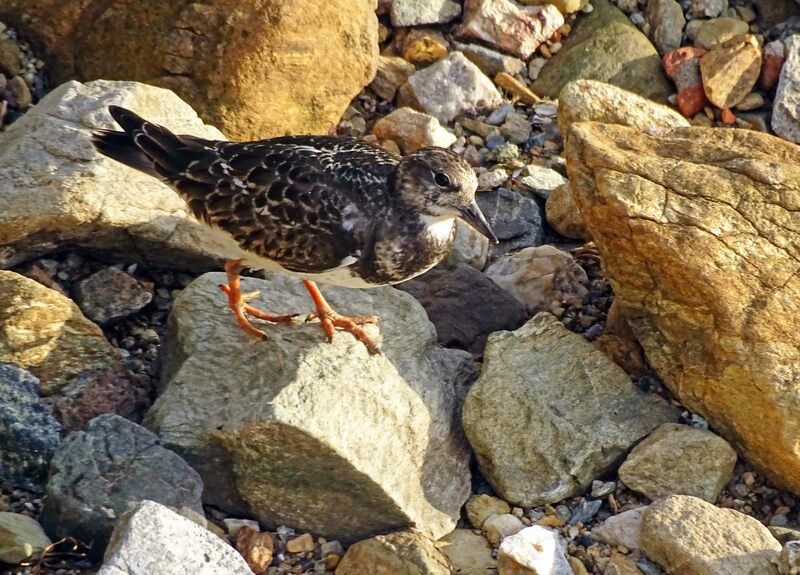 I came across this turnstone on the edge of the Ria Ortigueira. It was busily feeding – yes they really do turn over stones! – looking for invertebrates (insects, crustaceans, molluscs) along the shoreline. It looked young, and was extremely ‘confiding’ as bird watchers say. Almost fool hardy in fact; not flying or moving away as I hovered above it taking photos. Maybe it was tired, or just innocent? Some Ruddy turnstone (Arenaria interpres) populations overwinter in West Africa, and fly to these warmer climes over northern Spain. Perhaps this little chap was en passage? It was mid September, so if it was headed for Africa it needed to get a move on! A small number of turnstones do overwinter in Spain, however, particularly in inlets and Rias such as where I came across this bird in Ortigueira, Galicia (1). I am used to seeing turnstones in Scarborough; there are always some near the lighthouse at the entrance to the port. Our birds probably breed in Greenland and have never been to Spain! 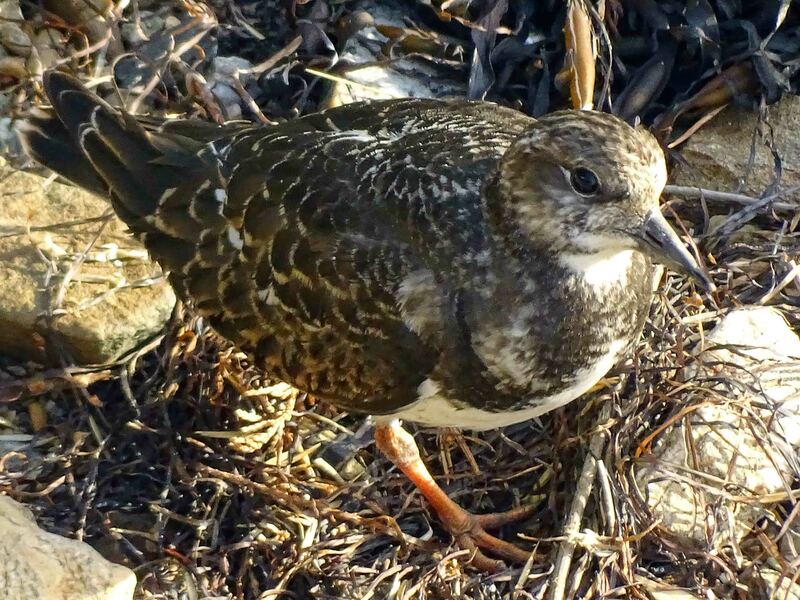 Turnstones are common – with a global population between c.460,000-800,000 individuals according to BirdLIfe International (2) – and widespread, and – breathe a sigh of relief – are evaluated as being of Least Concern.